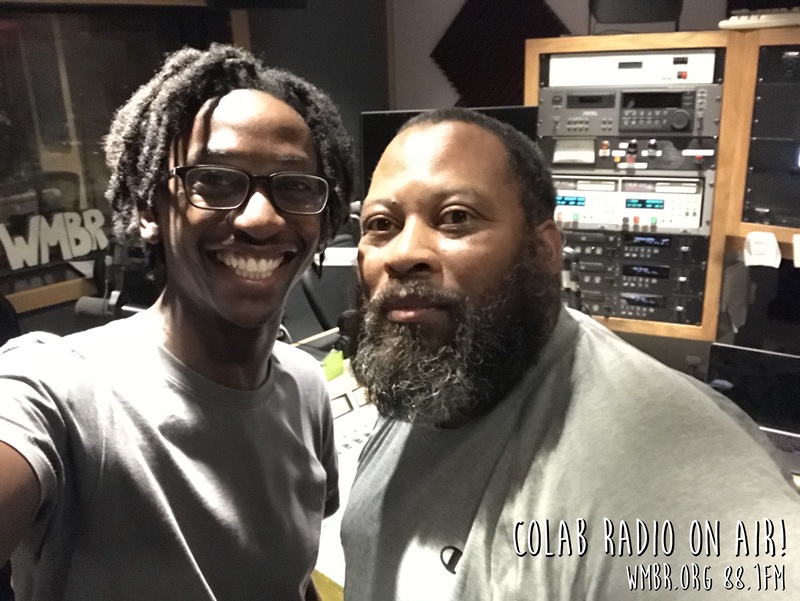 Our current featured show is CoLab Radio on Air, hosted by Lawrence! CoLab Radio on Air explores who shapes cities and how they do so. The show airs every other Wednesday at 8pm, including tonight 8/29! Tune in at wmbr.org or 88.1FM to listen. Lawrence Barriner II (host), Kenneth Bailey (show guest for Episode 6)! 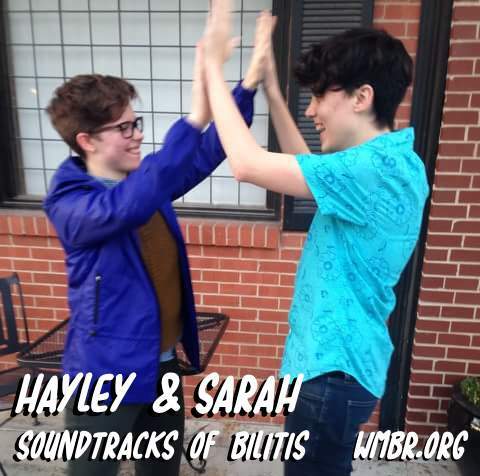 Our featured show interviews return with Sarah & Hayley, hosts of Soundtracks of Bilitis! The show explores LGBTQ films and the music accompanying these films. Soundtracks of Bilitis airs every other Monday at 6pm, including tonight (8/13). Tune in to hear them at wmbr.org / 88.1FM! WMBR’s Radio Animals: a Listener Photo Competition! Featuring Monster the cat as our model! We’re hosting a listener photo competition to brighten up the dog days of summer! 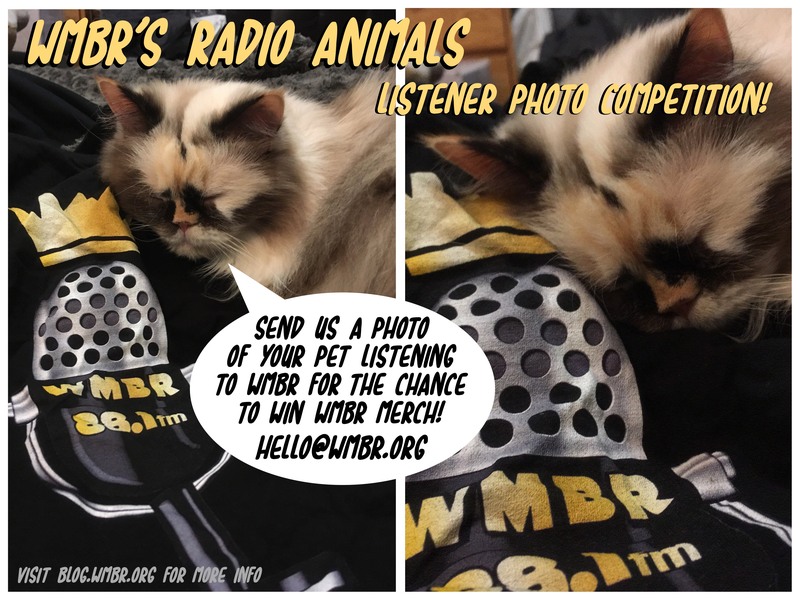 To enter, send an email to hello (at) wmbr (dot) org with a picture of your pet (or another animal) listening to WMBR! The deadline is 11:59pm on 8/19. WMBR station members will vote on our favourite entries, with the top three entries winning prizes! Winners will be announced by 8/26. Please see below for full information & terms! Feel free to comment on this post with any additional questions. 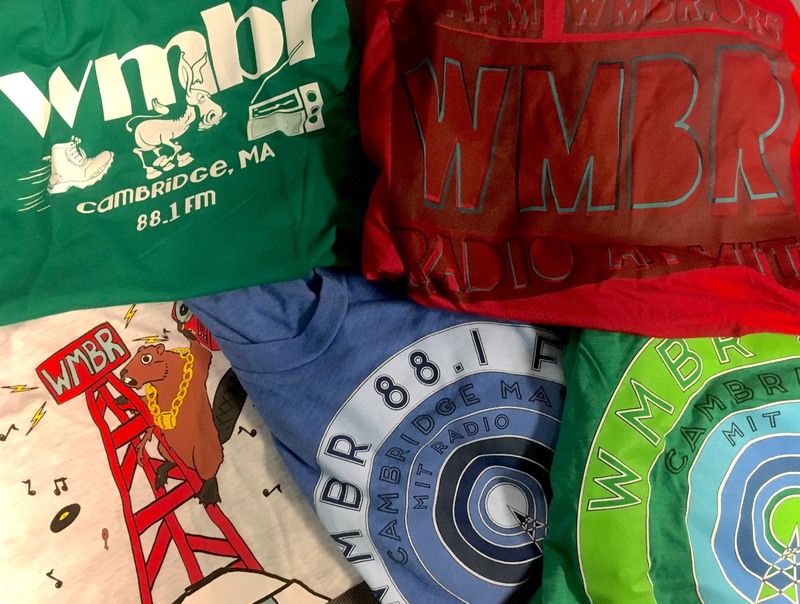 Win a WMBR shirt of your choice (pending size availability)! The 48th annual Boston Pride Parade is happening on Saturday June 9th 2018. In recognition of this, WMBR will be celebrating Pride Week from June 4th-10th! We’ll be featuring content curated by individual DJs, focused on LGBTQIA+ lives, voices, history and discussion. We hope that you’ll tune in for this year’s Pride Week on WMBR. Listen from 6/4-6/10 on 88.1FM or wmbr.org! Original black & white art by Thao (Nonstop Ecstatic Screaming); colours edited by Karina (Mare Nubium & Second Hand Reporting).